May thy standard green and gold Lead eternally. Alma Mater we will praise thee As the years go by. Silent voices praise thy name, Hearts look up to pray. Loyal to our Alma Mater, God bless OBU. The Bison provided food, clothing, and shelter to Native Americans. Before OBU was established, what is now known as Bison Hill was well-known bison territory. The founders of OBU chose the Bison as the mascot because they hoped OBU graduates also would help meet the needs of the world. In its early days, Oklahoma wildflowers known as coreopsis provided a sea of green and gold for Bison Hill when they bloomed in the spring. Ka-Rip! is a spirit chant yelled by the OBU fans and cheerleaders during sporting events. New students learn the yell during Welcome Week and try it out following The Walk on the final night of orientation. Fight on, fight on for OBU! On to victory! Sons and daughters strong to the end; Faithful we will be. Make our stand on Bison Hill. Fight on, OBU! Ka-willa, Ka-walla, Ka Victory, fight on, OBU! New students take The Walk which begins at the Oval and ends on the steps of Raley Chapel. It is held on the final night of Welcome Week, and mirrors the walk that will be taken on graduation day. 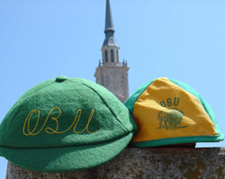 OBU was founded in 1910, and shortly after, the freshman beanie became a tradition which is still in practice. 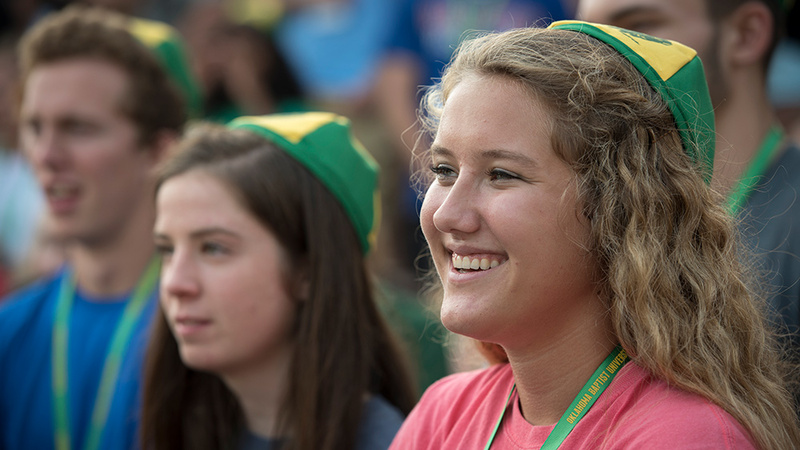 The beanie is worn by freshmen during Welcome Week in order to distinguish and highlight new students for returning students.